Thanks to the iPen subscription box, I’ve recently become fascinated by fountain pens. I never thought they were a very practical option as opposed to a good old ballpoint, and they’re not when the pen in question is being carried around in the bottom of your purse for months on end. But as a desk pen, and one that is used to create magnificent plots and deep characters, I’ve found they’re excellent. 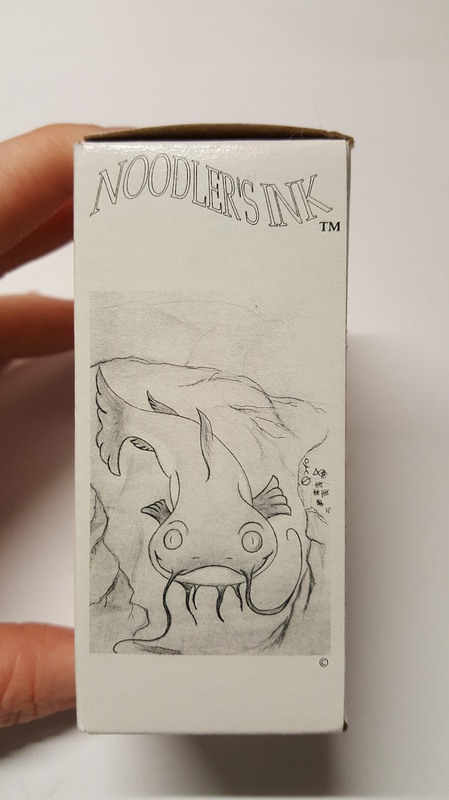 On my starving artist budget, I decided to try Noodler’s Ink. It’s pretty cheap ($12.50 for a 3 ounce bottle) and comes in tons of colors. Passing up Heart of Darkness, Bad Belted Kingfisher, and Dragon’s Napalm (yes, those are actual color names and they’re awesome!) 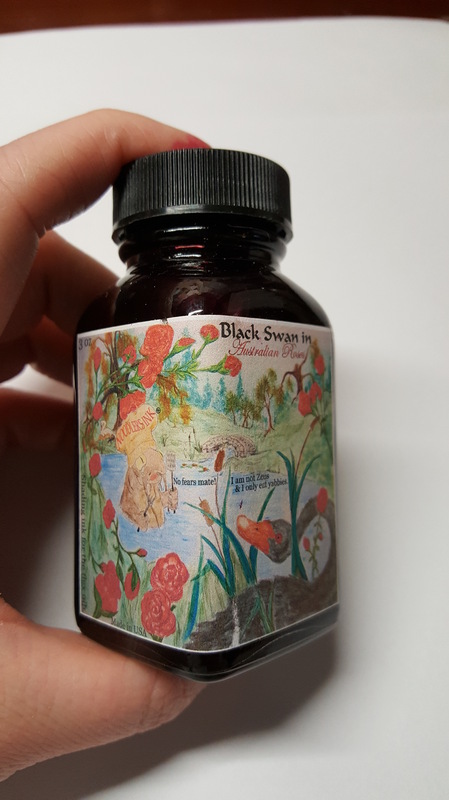 I settled for Black Swan in Australian Roses. 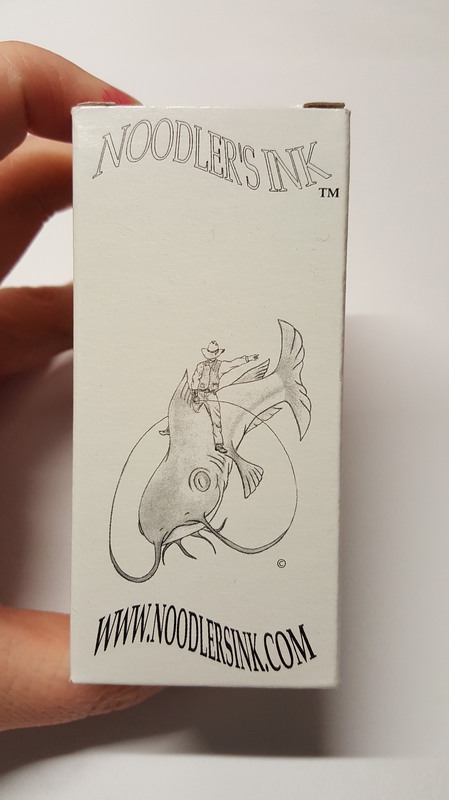 First, I was delighted with the artwork on the box and the bottle. This doesn’t have anything to do with the quality of the ink itself, but it was definitely entertaining! Also, a 3 ounce bottle is pretty sizable. That’s a lot of ink! 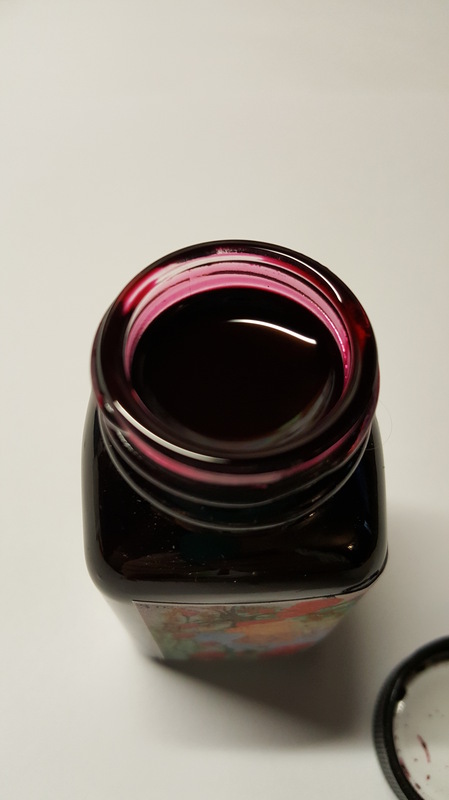 I just love the color of this ink! The name is quite appropriate, as it comes out as a blend of almost-black and a deep wine. This paper is not made specifically for fountain pens, but it’s a nice smooth paper that works well regardless. Writing on paper that is more textured and absorbent doesn’t create an effect quite as pleasant, since the ink really soaks in. 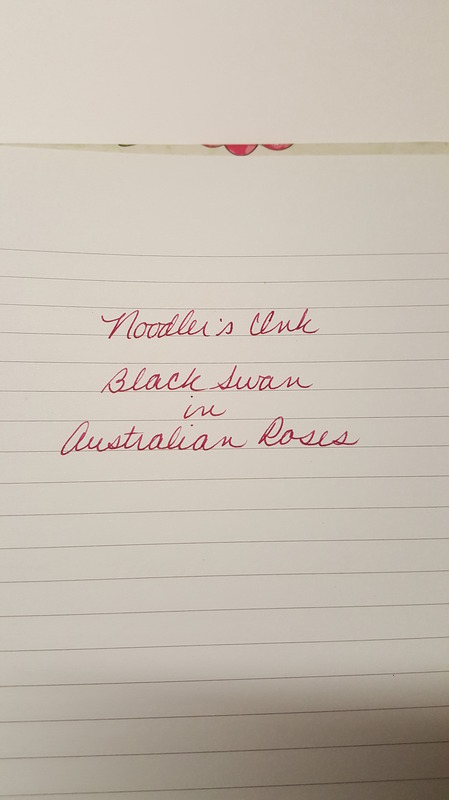 Black Swan in Australian Roses has been such a pleasure to write with that I’ve already had to refill my pen. Fortunately, I know I’ll be able to do that many times over! The one downside I’ve noticed is that the ink is rather strong smelling. It’s an odor that reminds me of rubbing alcohol mixed with paint. I’m only really aware of it when I’m doing a lengthy bit of writing and I’m right over the page. I don’t mind the smell, but I think it’s worth mentioning since I haven’t noticed this with other inks. Overall, I highly recommend this ink. Your results may be different depending on your pen, nib, and paper, but for creative writing by hand it’s lovely.